You will be fully prepared to retrieve your surface ice rescuer with this easy-to-use tether kit. 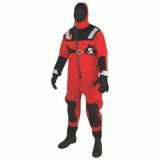 We provide everything your rescue team needs to manage and retrieve a single-tethered rescuer, with a buoyant sling-attached patient. TIR Kit includes: M1 Rope Bag with external Anchor Kit storage pouch, 300'' of pre-rigged 3/8 diameter Ice Rescue Rope, Asymmetric Carabineer, hook float, 5' Endless Sling, Aluminum non-locking Carabineer and Ice Anchor Screw. Item Details; Item M1: Rope Deployment Bag with external gear storage pocket. Mesh construction aids drying and air circulation. 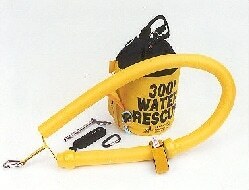 MARSARS Ice Rescue Tether Kits are shipped "Rescue Ready". Features include; pre-rigged factory spliced eyes. Hollow braid construction minimizes wet rope weight. 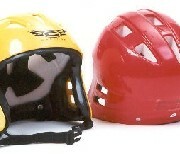 Includes heavy duty tubular chin strap. Optional hard plastic visor available. Colors Yellow, Red, Available in XS up to 21.25", S 21.5-22.25", M 22.5 - 23, L 23.25 - 23.75"